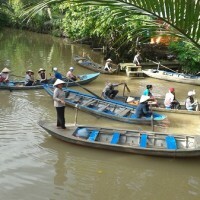 Use the form below to contact tour Mekong Delta Tour 2 days – Cai Rang floating market directly. Get on a boat ride through the fertile islands of The Upper Mekong river, feel the rowing boat trips under the shadow of the water coconut trees, taste the seasonal fruits in the orchard, enjoy your homestay experience with the locals, Cai Rang floating market which is at its busiest at this time of day. 07.45 am, our tour guide and driver pick you up on request at your hotel that locates in backpacker areas (De Tham street, Bui Vien street, Pham Ngu Lao street)m or in Ben Thanh areas (Le Thanh Ton street, Thu Khoa Huan street, Ly Tu Trong street, Bui Thị Xuan street…). 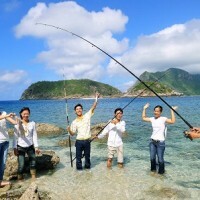 Other places that are not mentioned kindly come to Daily Travel Vietnam office for joining the tour. Arrive to Can Tho city, check in at the standard hotel that has hot shower, towers, mini bar, air conditioner , tivi, wifi .etc. in each room. After exploring the floating market, visitors will visit the place to see how they make rice vermicelli noodle and the orchard garden. Wandering in the village and try your best to cross the bamboo bridge which is built only one bamboo tree. Cruise back Ninh Kieu wharf. 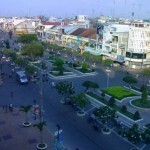 Arrive to Ho Chi Minh city around 5.00pm. 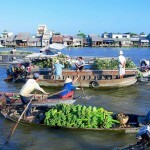 End of your Mekong delta tour 2 days – Cai Rang floating market . 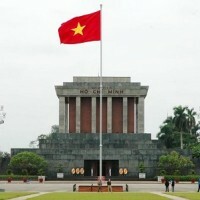 Single supplement (One star hotel: US$8/person; two stars hotel: US$12/person; three stars hotel: US$17/person). Thank you for visiting our Mekong delta tour 2 days – Cai Rang floating market. We are looking forward to serving you.